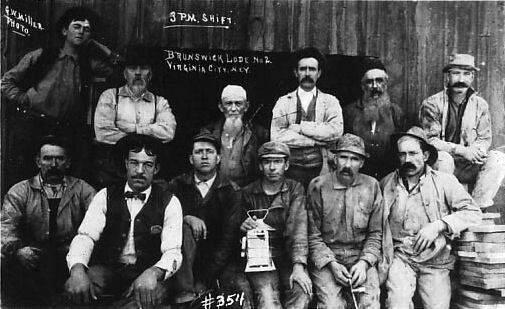 The Comstock Lode had been a minor gold placer district since 1850. Gold was discovered in this region in the spring of 1850, in Gold Canyon, by a company of Mormon emigrants on their way to the California Gold Rush. After arriving too early in the season to cross the Sierra Nevadas, they camped on the Carson River in the vicinity of Dayton, to wait for the mountain snow to melt. They soon found gold along the gravel river banks by panning, but left when the mountains were passable, as they anticipated taking out more gold on reaching California. 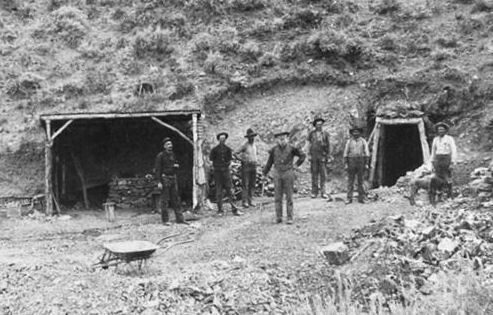 Other emigrants followed, camped in the canyon and went to work prospecting and mining. However, when the supply of water in the canyon gave out toward the end of summer, they continued across the mountains to California. The camp had no permanent population until the winter and spring of 1852–53, when there were 200 men at work along the gravel banks of the canyon with rockers, Long Toms and sluices. The gold from Gold Canyon came from quartz veins, toward the head of the vein, in the vicinity of where Silver City and Gold Hill now stand. As the miners worked their way up the stream, they founded the town of Johntown on a plateau. 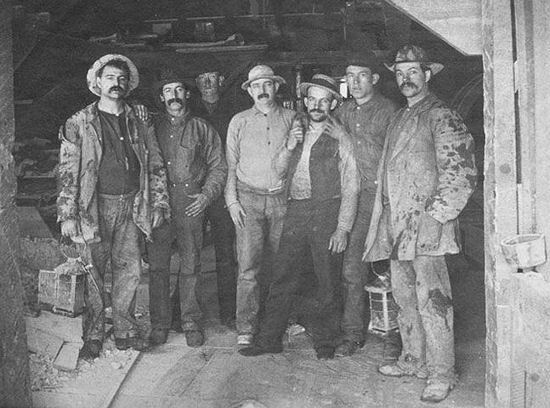 In 1857, the Johntown miners found gold in Six-Mile Canyon, which is about five miles north of Gold Canyon. Both of these canyons are on what is now known as the Comstock Lode. The early miners never thought of going up to the head of the ravines to prospect the quartz veins, spending their time on the "free" gold in the lower elevation surface deposits of earth and gravel. 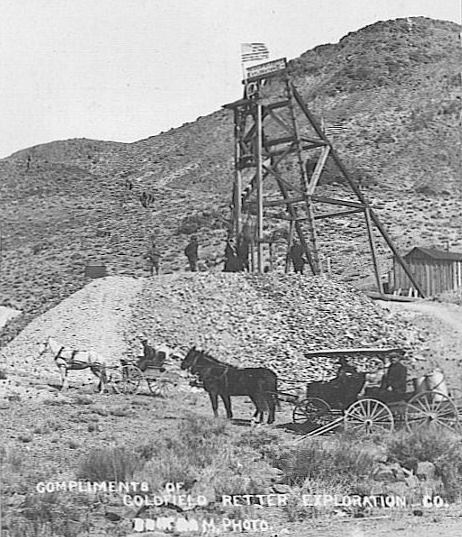 Credit for the discovery of the Comstock Lode is disputed. It is said to have been discovered, in 1857, by Ethan Allen Grosh and Hosea Ballou Grosh, sons of a Pennsylvania clergyman, trained mineralogists and veterans of the California gold fields. In the Spring of 1859, two miners, Peter O'Riley and Patrick McLaughlin, finding all the paying ground already claimed went to the head of the canyon and began prospecting with a rocker on the slope of the mountain near a small stream fed from a neighboring spring. They had poor results in the top dirt as there was no washed gravel, and they were about to abandon their claim when they made the great discovery. They sank a small, deeper pit in which to collect water to use in their rockers. In the bottom of this hole there was material of a different appearance. When rocked out, they knew they had made their "strike" as the bottom apron was covered with a layer of gold. In that hole, silver mining in America as we know it was born. In the rocker along with the gold was a large quantity of heavy blue-black material which clogged the rocker and interfered with the washing out of the fine gold. When assayed however, it was determined to be an almost pure sulphuret of silver, thus the great Comstock Lode silver deposits were discovered. 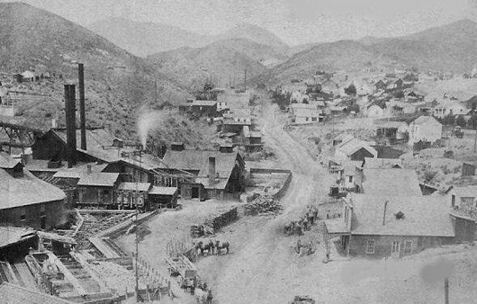 This led to the establishment of Gold Hill and Virginia City as the principal communities on the Comstock Lode. 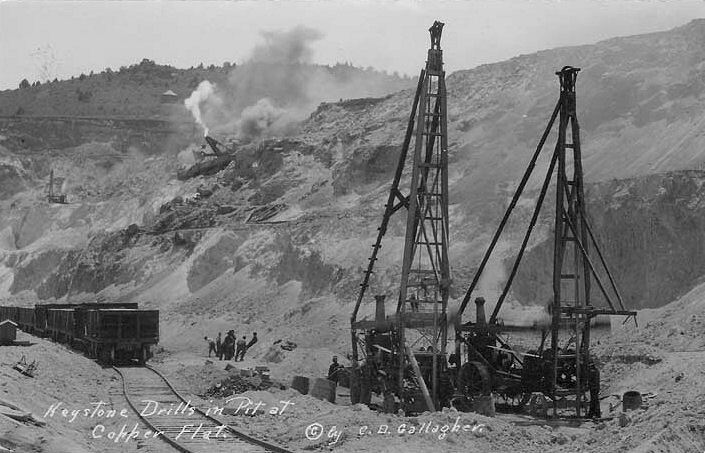 The rich ore was first extracted through surface diggings, but these were quickly exhausted and miners had to tunnel underground to reach ore bodies. Unlike most silver ore deposits, which occur in long thin veins, those of the Comstock Lode occurred in discrete masses often hundreds of feet thick. The ore was so soft it could be removed by shovel. Although this allowed the ore to be easily excavated, the weakness of the surrounding material resulted in frequent and deadly cave-ins. The cave-in problem was solved by the method of square-set timbering invented by Philip Deidesheimer, a German who had been appointed superintendent of the Ophir Mine. Previously timber sets consisting of vertical members on either side of the excavation capped by a third horizontal member were used to support the diggings. However, the Comstock ore bodies were too large for this method. Instead, as ore was removed it was replaced by timbers set as a cube six feet on a side. Thus, the ore body would be progressively replaced with a timber lattice. Often these voids would be re-filled with waste rock from other diggings after ore removal was complete. By this method of building up squares of framed timbers, an ore vein of any width may be safely worked to any height or depth. 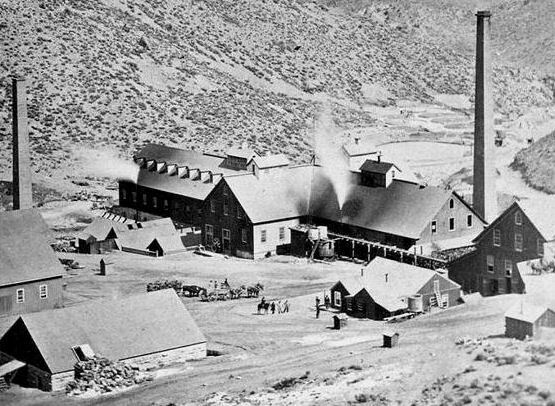 Peak production from the Comstock occurred in 1877, with the mines producing over $14,000,000 of gold and $21,000,000 of silver that year (about $270 million and $400 million in "today's" money, as of 2007, respectively. Production decreased rapidly thereafter, and, by 1880, the Comstock was considered to be mostly played out. The deepest depth was struck, in 1884, in the Mexican winze at 3,300 ft below the surface. 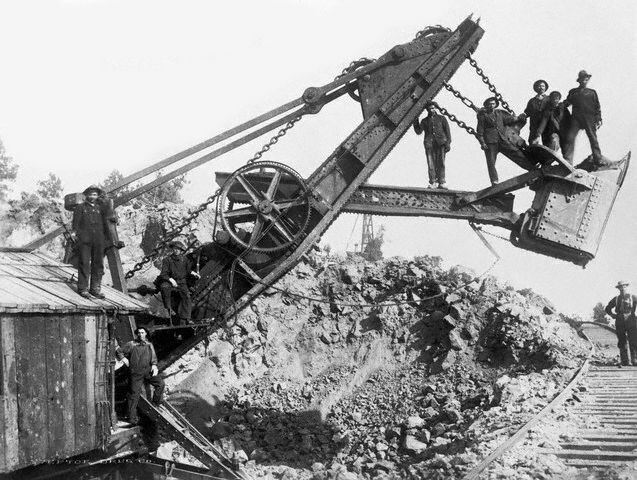 Underground mining continued sporadically until 1922, when the last of the pumps was shut off causing the mines to flood. Re-processing of mill tailings continued through the 1920s, and exploration in the area continued through the 1950s, with some renewed interest today. 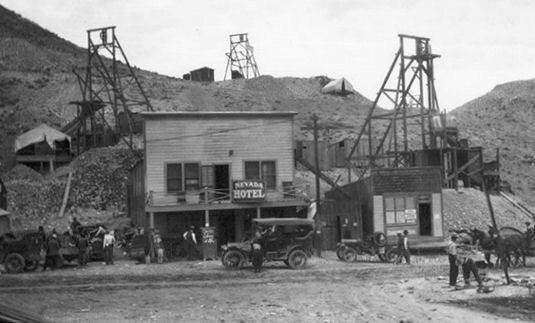 Ore discovered just before 1900, was initially regarded as possible gold and silver property. The name Ruth was given the ore deposit by D.C. McDonald, Justice of the Peace and pioneer of the Robinson District, for his daughter. McDonald showed Dave Bartley and Edwin Gray a number of claims he owned among them the Ruth and the Kearsage. The two miners took a lease option to buy the two claims. When asked what he thought of the ground, Bartley replied that if it had value it would be in copper. Bartley had just came from a copper district, and that could explain his fondness for a metal that was much despised around Ely. Gray and Bartley tediously drove their adit 315 feet and then sank a 200-foot winze. A number of drifts and crosscuts were run. It became a very attractive enterprise except for the 150-mile haul to the railroad. They were confident the right man would come along. In the meantime, anybody who happened along was welcome to go into the mine and help himself to samples. An occasional guest during a period of several weeks was an old Comstocker who went by the name of Williams. He ‘swapped yarns’ and worked hard getting a few samples here and there. Williams did not appear to have any specific business, and Gray and Bartley missed his company when he left as unceremoniously as he had appeared. In the autumn of 1902, Mark L. Requa appeared and asked, without ceremony, ‘Boys, how much do you want?’ The answer was $150,000 and Requa replied that they should all go down to Ely and fix up the papers.3 ‘Williams’, whose real name was J. G. Stevens, had been scouting the district for Requa. 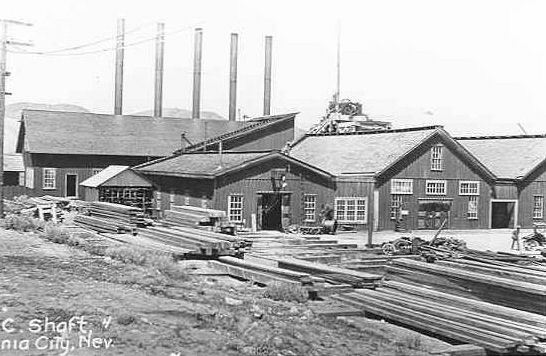 Requa organized the White Pine Copper Company and further developed the Ruth mine in 1903. 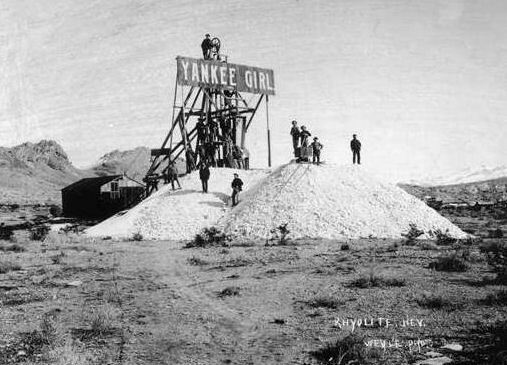 Gray was made superintendent of the mine and held that position until 1907. Bartley became owner of the Steptoe Drug Company in Ely. 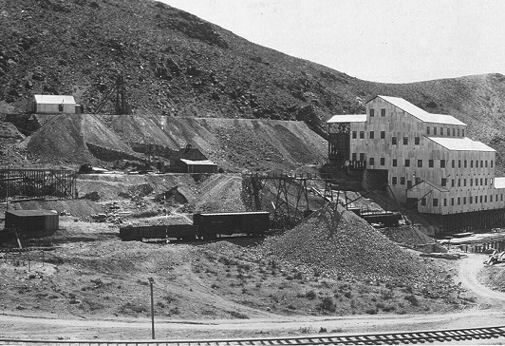 A small experimental concentrator was built in 1904 and the mine was bulk-sampled. This led to the founding of a settlement of tents and shacks near the main mine. With increased development, Ruth had a modest commercial district by 1905. The post office opened on February 8, 1904. Ruth was a company town with boarding house, bunkhouses, a hospital and other buildings. 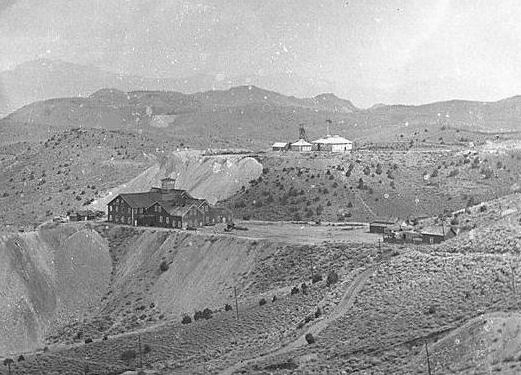 The Nevada Consolidated Copper Company provided for all utilities. 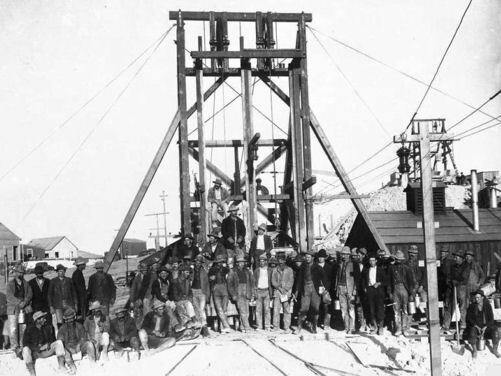 The practice of exploring low-grade copper deposits with churn drills was pioneered in the Robinson District in 1906. 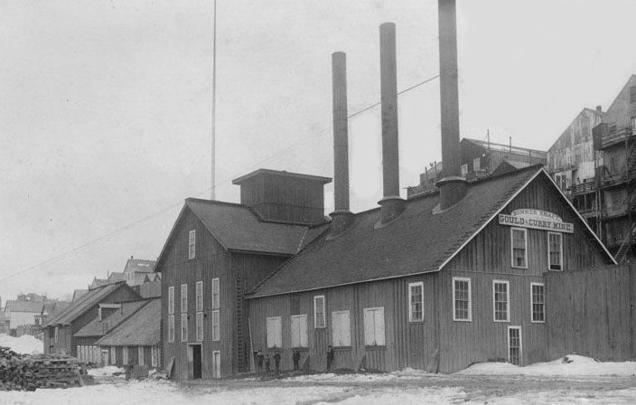 In that same year, Giroux Company built a 100-ton blast furnace that was never used. 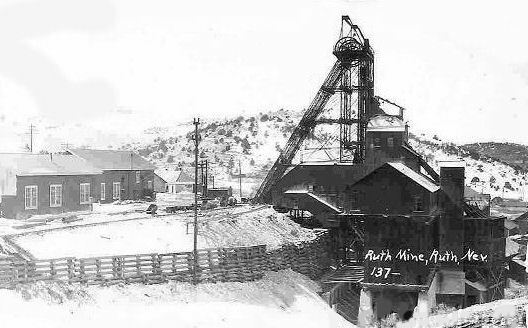 All the ore from the Ruth mine area was extracted by underground methods until 1958. 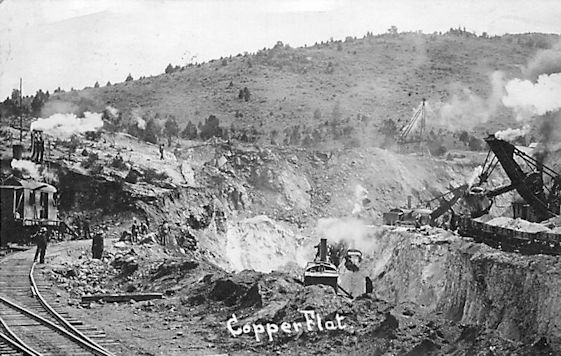 The major copper deposits of the Nevada Consolidated were mined underground until the summer of 1907 when steam shovels began stripping the overburden from the area above the Eureka mine. 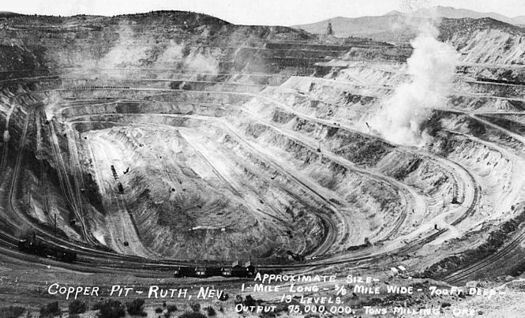 A large oval pit soon took shape, and in 1916, it was combined with a nearby pit to form the large Liberty pit. The Veteran mine was developed underground but was converted to a pit operation in 1955. 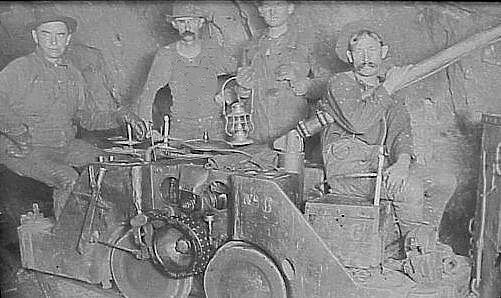 The Emma, Monitor, and Morris-Brooks underground mines were later mined in parts of the Liberty and Tripp pits. 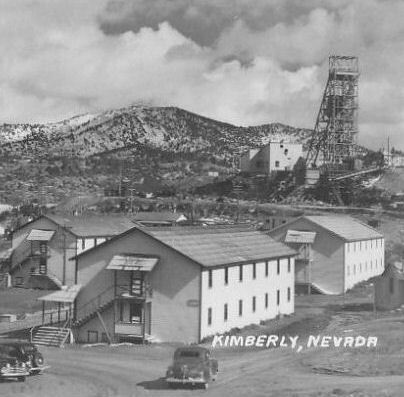 A 1940 guidebook described Ruth as the mine headquarters of Nevada Consolidated with a population of 2,281. The houses were described as scattered over hillsides. Ruth is one mining town that has never died. When room had to be made for the expansion of the pit, the town was literally picked up and moved. Therefore, several places named Ruth are listed on the Nevada ghost town roster. However, the town still survives and cannot be termed a “ghost town.” Around 1955, all the buildings were relocated to the present site called New Ruth to allow for block caving of ore in the new Deep Ruth shaft. Many people moved their houses to Ely. The Austin silver deposits consist of numerous narrow (often only several inches in width) quartz veins hosted in monzonite rock. The main ore minerals are sulfides that contain silver, including large quantities of galena and tetrahedrite. Oxidized ore, which was very shallow, included silver chloride (chlorargyrite) which was easily reduced to metallic silver, although these oxidized deposits were exhausted quickly. The deeper sulfide (hypogene) ore was much more difficult to work and had to be roasted prior to amalgamation. 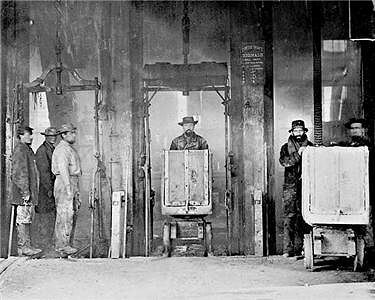 Milling and concentration was used to separate the silver-containing sulfides from the barren quartz. Because of the added expense of this kind of processing along with the narrow veins, only high grade ores could be profitably worked in Austin. The Austin veins are of an older age and were formed at a greater depth than many other silver districts in Nevada, such as the epithermal veins of Virginia City (Comstock Lode). In addition, the value of the Austin ores was largely (with several exceptions) silver (with significant base metals (lead, zinc and copper)) with very little gold, whereas most epithermal veins have highly significant gold. 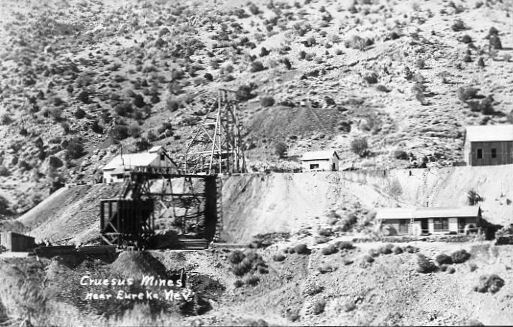 Mining in the Pioche District in Lincoln County, began in 1869 from silver veins in the Cambrian Prospect Mountain quartzite. Replacement manto-type ore bodies were later discovered in the Highland Peak Limestone of Cambrian age. 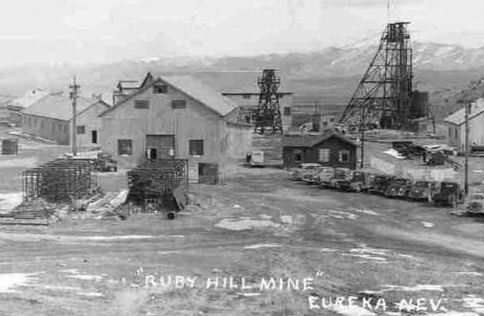 The silver deposits at Eureka in Eureka County were discovered in 1864, but because of the high lead content of the ore, the silver could not be successfully recovered by amalgamation mills. 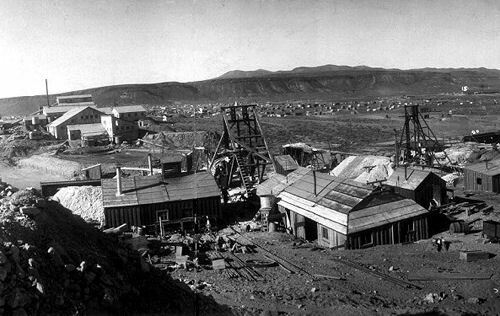 Mining did not boom until after a smelter was built in the district in 1869. Most metal production occurred from 1869 to 1893. The town was first settled in 1864 by a group of silver prospectors from nearby Austin, who discovered rock containing a silver-lead ore on nearby Prospect Peak. The town of Eureka became the county seat in 1873, when Eureka County was carved out of adjacent Lander, Elko, and White Pine counties. The ore bodies are replacement deposits of silver and gold-bearing galena in Paleozoic sedimentary rocks. Early production was of the oxidized zone, where the galena was altered to cerussite and anglesite in a gangue of limonite, goethite, and calcite. When the miners extended the shafts down into the unoxidized zone, they mined the original sulfide minerals, and added zinc to the list of recoverable metals. Through 1964, Eureka made 4.0 million troy ounces (120 metric tons) of silver, 170,000 ounces (5.3 metric tons) of gold, 370 million pounds (170 thousand metric tons) of lead, 14 million pounds (6400 metric tons) of zinc, and 2.1 million pounds (950 metric tons) of copper. The Rochester district in Pershing County was discovered and named in the 1860s by prospectors from Rochester, New York. The district was not a large producer until the early 20th century. 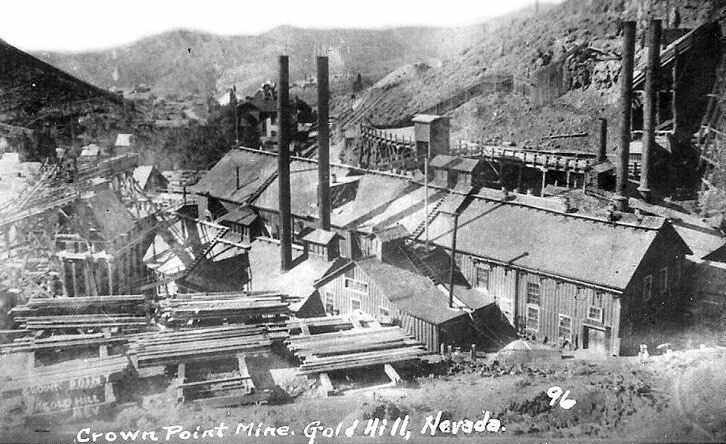 In its boom years from 1912 to 1921, the district produced 6.4 million troy ounces (200 metric tons) of silver, 52 thousand ounces (1.6 metric tons) of gold, and 110 thousand pounds (50 metric tons) of lead. The minerals occur in quartz veins contained in Triassic rhyolite. 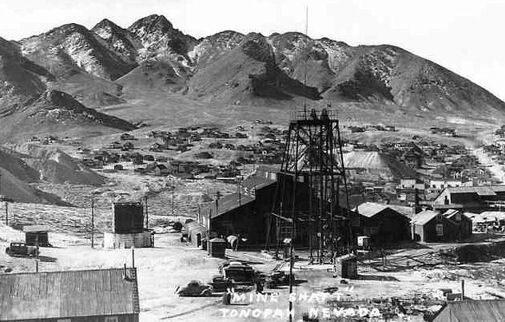 The last great silver-mining district to be developed in Nevada was the Tonopah District, in Nye County, discovered in 1900. 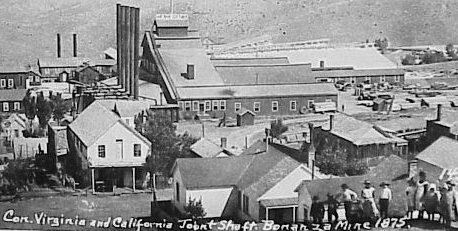 Tonopah began with the discovery of gold and silver rich ore by prospector Jim Butler when he went looking for a lost burro he owned. The burro had wandered off during the night and had sought shelter near a rock outcropping. When Butler discovered the animal the next morning, he picked up a rock to throw at the beast, but instead noticed the rock was unusually heavy. 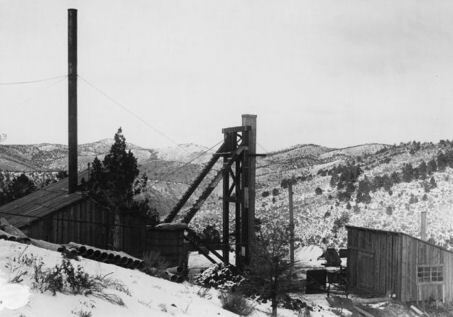 He had stumbled upon the second-richest silver strike in Nevada history. The silver deposits are replacement veins in Tertiary volcanic rocks. 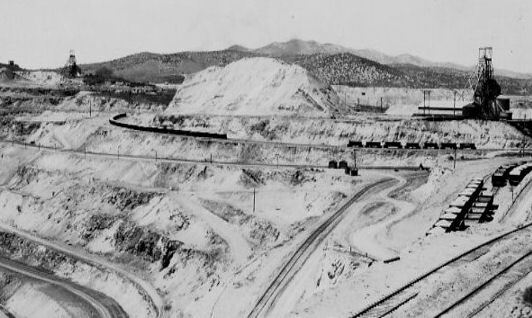 Through 1921, the district produced 138 million troy ounces (4300 metric tons) of silver and 1.5 million ounces (47 metric tons) of gold. Goldfield, county seat of Esmeralda County, was a boomtown in the first decade of the 20th century due to the discovery of gold. 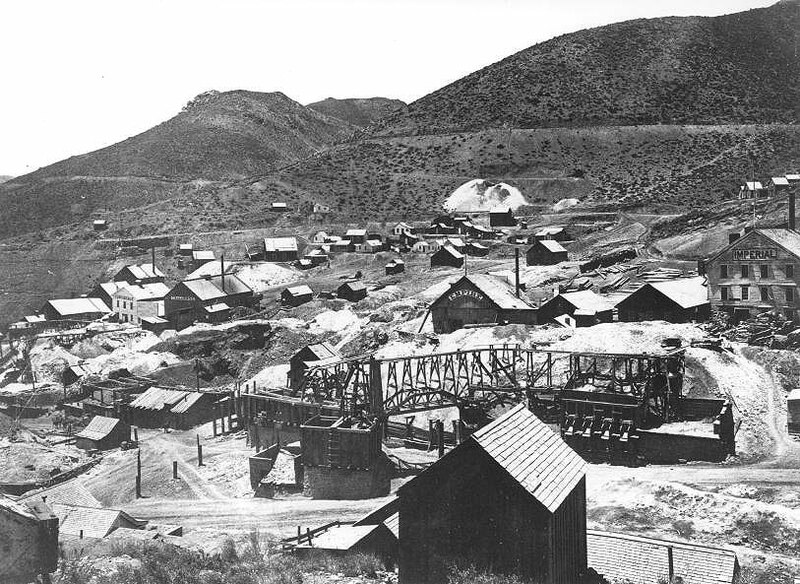 From 1903 to 1910, Goldfield was the largest city in Nevada. 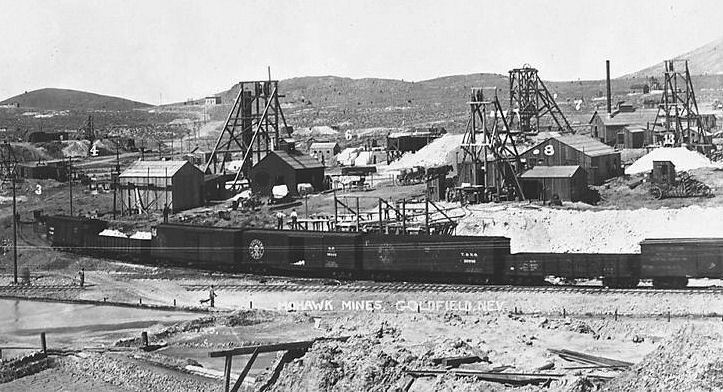 Between 1903 and 1940, Goldfield's mines produced more than $86 million. While a small permanent population remains in Goldfield, today it is largely a ghost town. Gold exploration still continues in and around the town today. Gold was discovered at Goldfield in 1902, its year of inception. 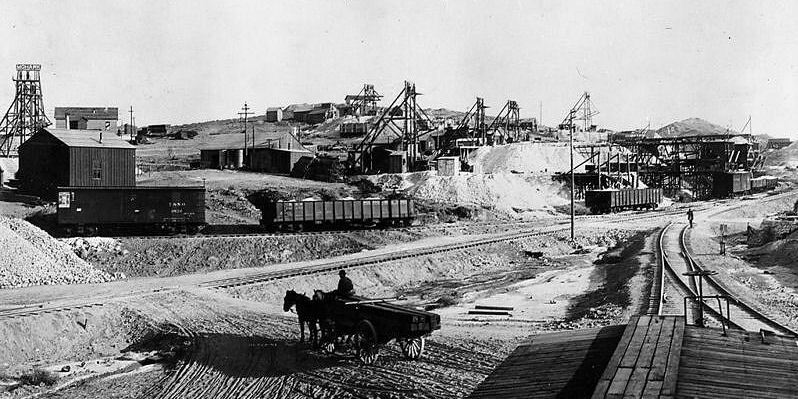 By 1904 the Goldfield district produced ore, valued at $2,300,000, 30% of the state's production that year. 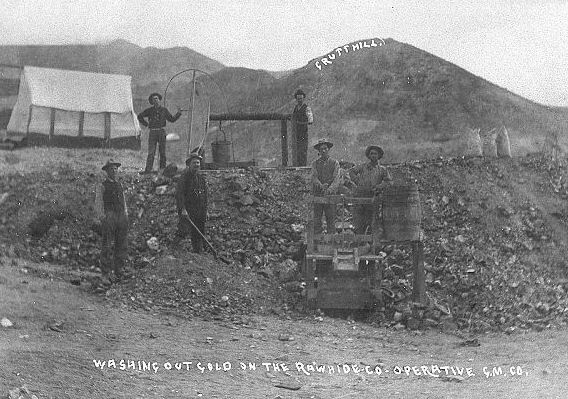 Other mining districts in Nevada were the Reese River, Pioche, Eureka, Rochester and Tonopah Districts. It is the value of the output from Nevada's 6 mining districts that gave Nevada the nickanme of the "Silver State. The silver deposits of the Reese River Mining district were discovered in 1862. The town of Austin was established, and in 1863 became the county seat of the newly-formed Lander County. 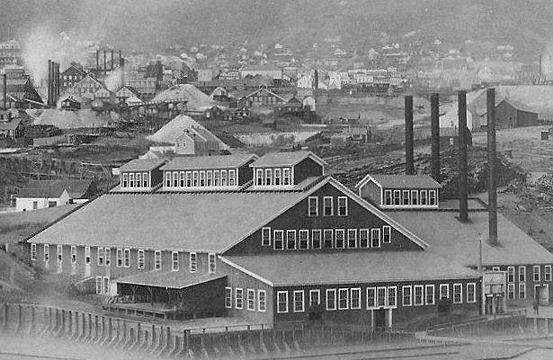 By 1867, there were 11 ore-processing mills in the district. The ore deposits are veins in quartz monzonite and quartzite. Austin was founded in 1862, as part of a silver rush reputedly triggered by a Pony Express horse who kicked over a rock. By summer 1863, the Austin and the surrounding Reese River Mining District had a population of over 10,000, and it became the county seat of Lander County (the seat was shifted to Battle Mountain in 1979). 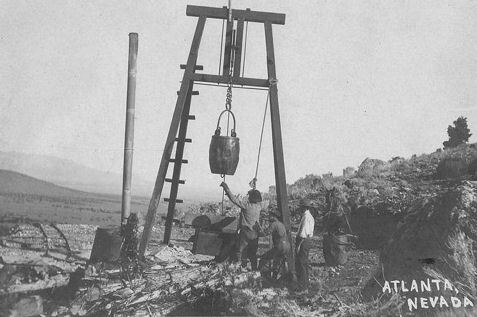 Tonopah began circa 1900 with the discovery of gold and silver-rich ore by prospector Jim Butler when he went looking for a lost burro he owned. The burro had wandered off during the night and sought shelter near a rock outcropping. When Butler discovered the animal the next morning, he picked up a rock to throw at the beast, but instead noticed the rock was unusually heavy. 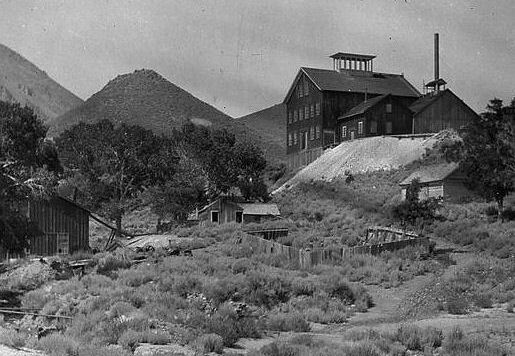 He had stumbled upon the second-richest silver strike in Nevada history. 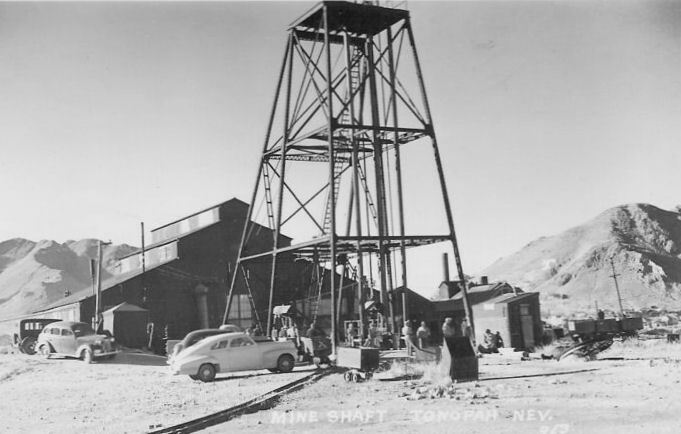 While Butler may have been responsible for the first ore strike, it took men of wealth and power to consolidate the mines and reinvest their profits into the infrastructure of the town of Tonopah. George Wingfield, a 24-year old poker player when he arrived in Tonopah, played poker and dealt faro in the town saloons. Once he had a small bankroll he talked Jack Carey, owner of the Tonopah Club, into taking him in as a partner and to file for a gaming license. 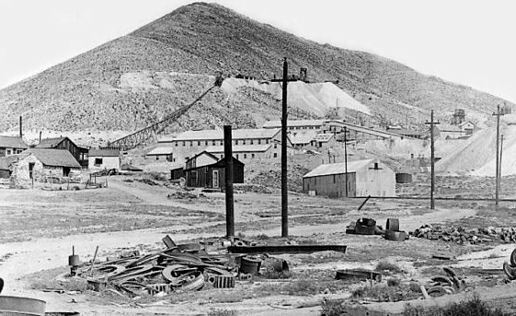 In 1903, miners rioted against Chinese workers in Tonopah, which spurred a boycott in China of U.S. goods. Real estate and gaming became big business throughout Central Nevada, but Wingfield saw the end of the gold and silver mining riches coming and took his bankroll to Reno where he invested heavily in real estate and casinos. 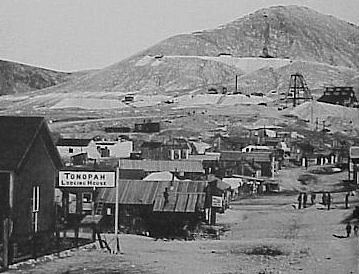 By 1910, gold production was falling and by 1920 the town of Tonopah had less than half the population it had fifteen years earlier. 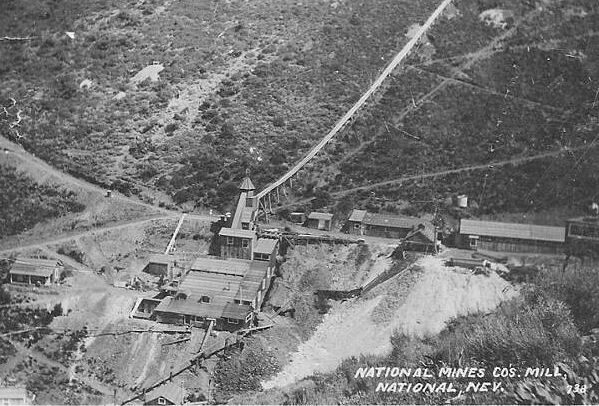 Small mining ventures continued to provide income for local miners and the small town struggled on, taking advantage of its location about halfway between Reno and Las Vegas as a stopover and rest spot on a lonely highway.